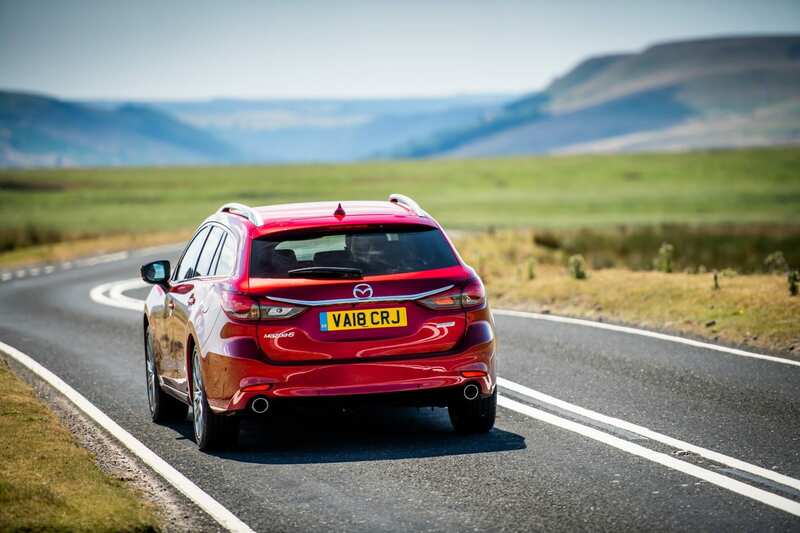 Home » Articles » Is the Mazda 6 one of the best built cars on the road? Is the Mazda 6 one of the best built cars on the road? The Mazda6 is a well-established and somewhat secret executive car. 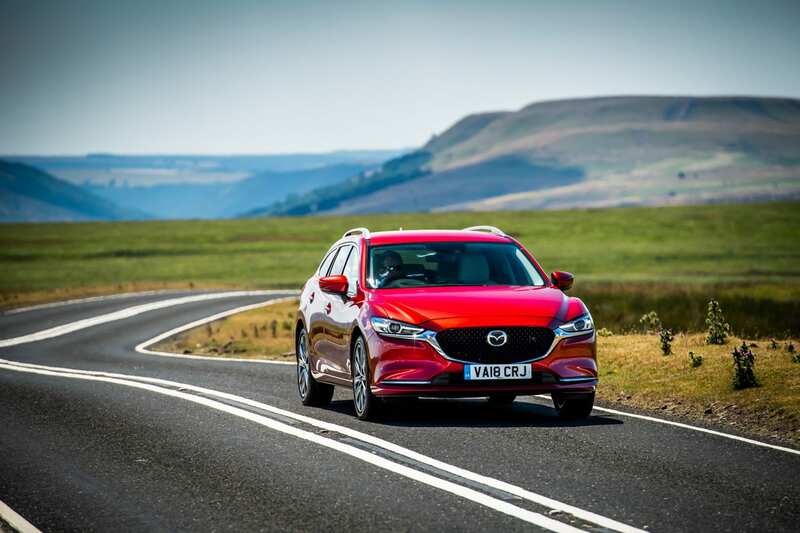 I say secret, as the Mazda 6 is one of the best built and designed cars I have come across in this ever more competitive car market, says Business First Motoring Correspondent, Ian Beasant. Mazda go about their business in a subtle way and it certainly is effective as I am seeing more and more Mazda’s on our roads with the CX5 and CX3 crossovers increasingly popular. I drove the new Mazda 6 Tourer with the 184PS 2.2 litre Diesel engine fitted a Mazda’s short-throw six speed manual gearbox. The engine is a beauty as it does not sound at all like a diesel and there is no sign of the diesel rattle, it revs enthusiastically combined with six-speed gearbox the engine still offers the torque of a diesel engine and the economy is claimed at 58 mpg – which over a variety of town driving and motorway cruising is certainly achievable. Designed to improve ride comfort at the same time as maintaining the Mazda 6 famed driver engagement, the new Mazda 6 benefits from suspension fine tuning and component upgrades. Bump stop characteristics have been revised, the front dampers have increased in diameter and rebound springs have been added, while a new urethane rear damper top mount has been fitted, all resulting in smoother vehicle behaviour and improved ride quality. In addition, the steering knuckles have been lowered for more neutral steering characteristics, while to ensure a more precise response to subtle steering wheel actions, rigid mounts now attach the steering gear to the suspension cross-member. The Mazda6 Tourer is a breath of fresh air in driver engagement and enjoyment. There’s also no mistaking the visual enhancements that mark out the latest Mazda 6. The 2018 car adopts a fresh frontal design focused around a new grille, which has the mesh positioned deeper within the surround to create a more sophisticated and muscular face. The revised LED headlamps integrate signature wing tips from grille surround to underscore their predator style while the redesigned lower bumper features a sleeker profile and an aerodynamically efficient air intake. Step inside the new Mazda 6 and the updates are even more evident. New materials and technology combined with refinements to the cabin design deliver an understated sense of luxury. With fine craftsmanship applied to every detail, highlights across the range include the introduction of a larger eight-inch centre display screen and the adoption of a full colour windscreen projected Active Driving Display. 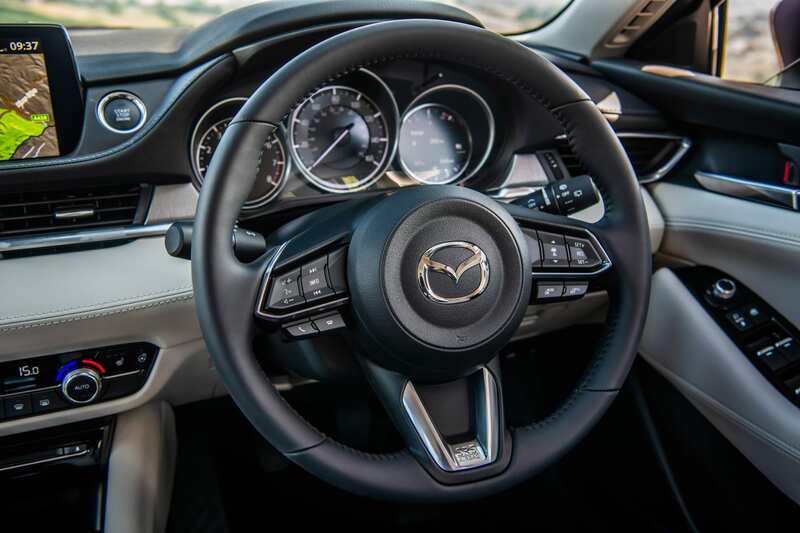 The dashboard and door trim designs have been redesigned, seat comfort has been improved giving the Mazda 6 a strong premium feel, and the dash layout is elegantly simple and not cluttered. Passengers and the driver are well looked after with the Mazda 6 offering generous space for 5 people. The Tourer, I drove is a relatively large car, yet on the road with its excellent all- vision it does not feel it at all. Parking is easy with use of the accurate reversing camera. 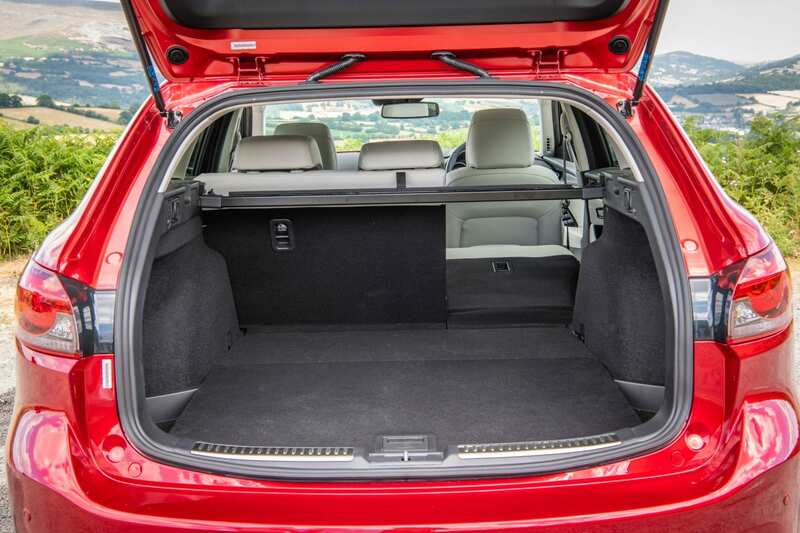 The New Mazda 6 Tourer ticks all the boxes and if you keen on the driving style of a car and want the room of an SUV/ Crossover, the Mazda 6 Tourer should certainly be on your wish list.